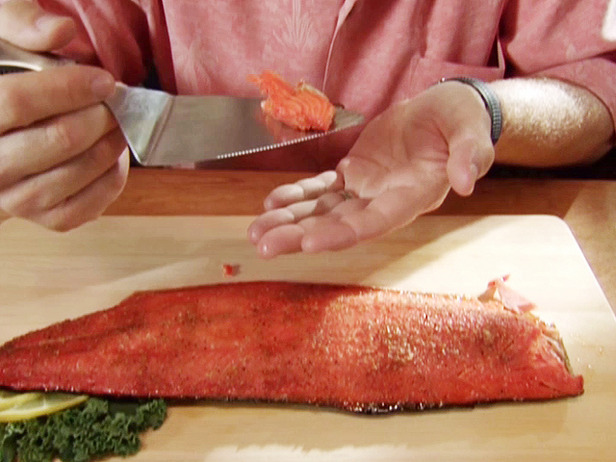 While in Vancouver recently, the Snapper King and I had a chance to catch some beautiful Sockeye Salmon. Now the Canucks tell me that Sockeye can be the hardest salmon to cook, as its prone to drying out quickly, but they also say its the best eating salmon, and that's something I can attest to. While in Vancouver, we made it our goal to eat ALOT of salmon and we tried it heaps of different ways. Here is one recipe for Broiled Salmon with a Citrus Glaze that I just loved. The salmon was some of the tastiest salmon I've tried and the glaze was perfect! The prep is easy and it would also be interesting to try using orange zest instead of lemon zest, but the lemon zest was very good.